17th,June,1631 - Mumtaz Mahal died during childbirth. Her husband, Mughal emperor Shah Jahan I, then spent more than 20 years to build her tomb, the Taj Mahal. 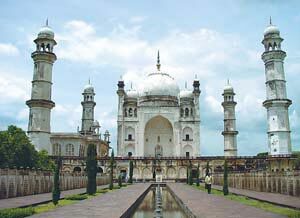 The Taj Mahal is a monument located in Agra in India, constructed between 1631 and 1654 by a workforce of 20,000. The Muslim Mughal Emperor Shah Jahan commissioned its construction as a mausoleum for his favourite wife, Arjumand Bano Begum, who is better known as Mumtaz Mahal. 上一篇 : 世界之旅（艾菲尔铁塔, The Eiffel Tower）?